Folding up my train ticket on a long journey the other day in a bored fashion, I came up with this. 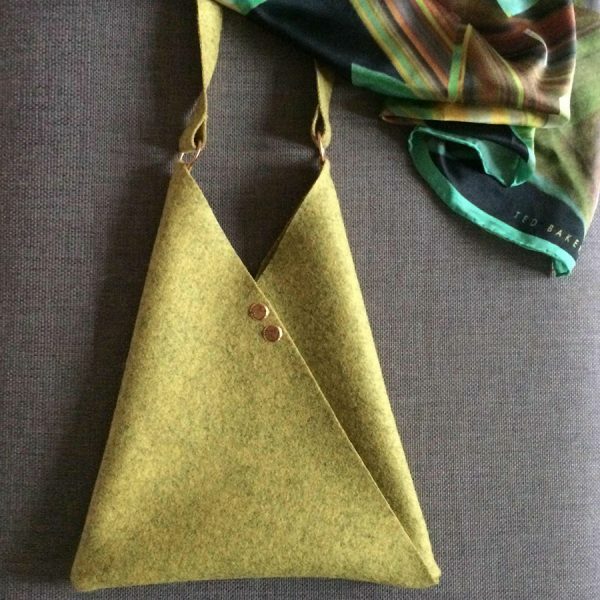 The Origami Bag is such a simple shape that there’s hardly any sewing to it. Like the train ticket, it just folds into shape. I added the little loops at the top to accommodate some curtain rings, and it became a little cross the body bag just the right size for your phone and wallet. 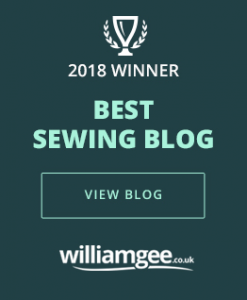 I have drawn out the pattern for you. 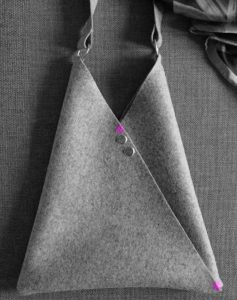 The Origami Bag is available here for you to download. The beauty of it is that you can rescale it to any size. The pattern, as it is provided here, is 21cm at the base and 25cm high. However, if you alter the scale on the print dialogue box when you print it out, to say 150%, then your bag will work out bigger. Scaled up like this I think it would make a great chuck-it-all-in beach bag. 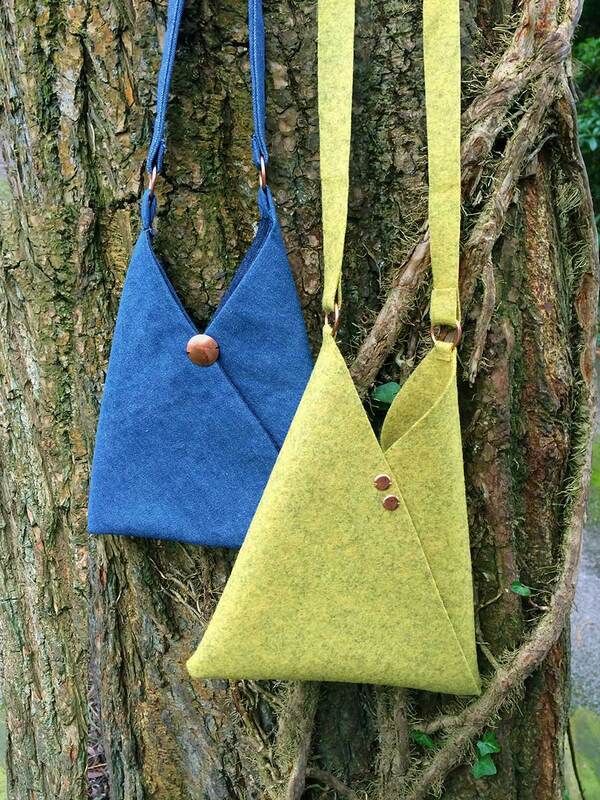 The yellow one on the left is made from a very gorgeous thick marled wool felt that I had in my stash. (It’s actually a furnishing fabric from Camira – 100% wool.) Because felt doesn’t fray, I’ve made the bag with a single “skin” with no lining. As you can imagine it only took a few minutes cutting and assembling. I’ve photographed it with my favourite silk scarf because they go together so beautifully. The blue one is slightly different. Denim frays and so this need to be double skinned. 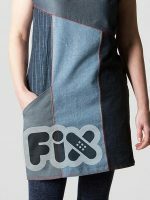 I’ve made it from two different shades of denim but it would look really sweet with a floral or spotted lining. 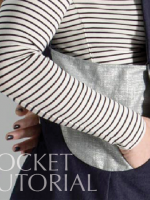 As you’ll see on the pattern, the pink line is there if you want to add seam allowance for a double skin bag. For a single skin just use the the black cutting line. 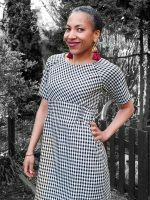 You cut the pattern out in your 2 different fabrics and, with right sides together, sew your two fabrics together. Then turn inside out and press and fold in the same way as with the single skin. 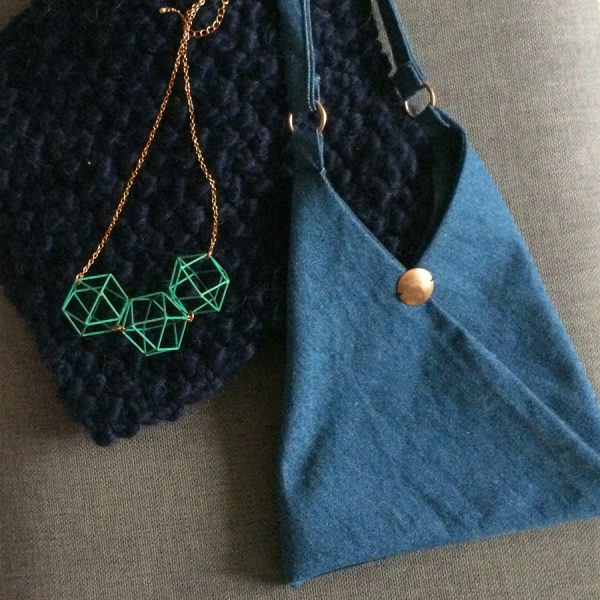 The denim is a bit more casual so I’ve teamed it with a lovely hand knitted scarf and a funky hexagon necklace. To assemble your bag, use the fold lines that are marked on the pattern. The fabric just needs catching by hand to hold it in place where the two pieces cross at the top (shown in pink on the image above). 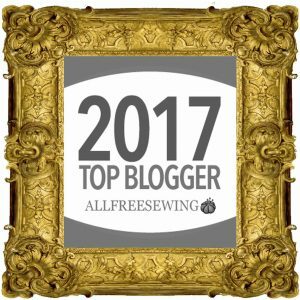 I’ve used some lovely brass embellishments that I cut off an old jacket to cover my stitches but an unusual button would be perfect too. You’ll need to catch it again at the bottom corner too (again marked in pink). The tags at the top are to fold over and use for your curtain rings. 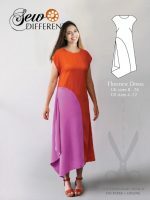 As a strap cut a length of fabric 4 times the width you would like. Fold in inward from either side to meet in the middle and then fold in half. 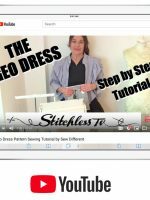 Sew along the length with a running or a decorative stitch. And finally , as a third alternative, I’ve made an exotic looking evening version. 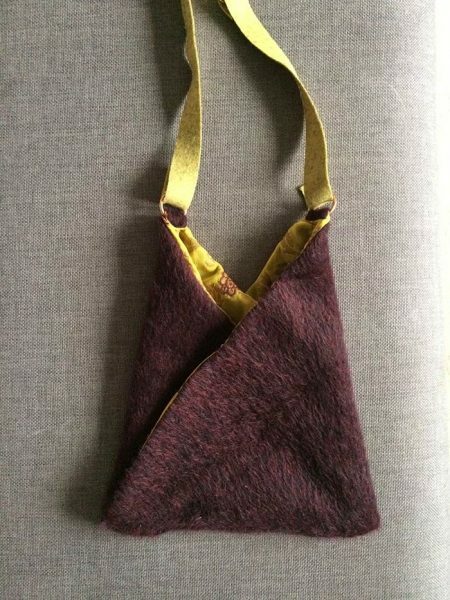 This fabulous scrap of soft burgundy mohair is lined with some old sari fabric that picks up the colour in the flowers. (There’s a jacket in the making to match this.) For the strap I used the off-cuts of the yellow felt.